With Manhattan’s inventory continuing to pile up, and sales slowing in the outer boroughs, conditions are tough for New Yorkers who want to sell their city apartments. Latest reports suggest sales will shrink even further this year. But if you can’t wait for the market to turn around, or are thinking about getting ready to sell sometime in the near future, it’s good to be prepared, especially in such a sluggish market. We’ve gathered our best advice on what you need to know about how to shift your NYC apartment—starting with how to get your best price in a buyer’s market. Does the time of year matter? Of course, it does. But more important is making a well-priced listing. Still, experts suggest when is the best month to put your NYC apartment up for sale: December and early January are traditionally slower but that doesn’t necessarily mean you should take your apartment off the market for the holidays. What if you’ve had the listing out for a while and the apartment just isn’t moving? 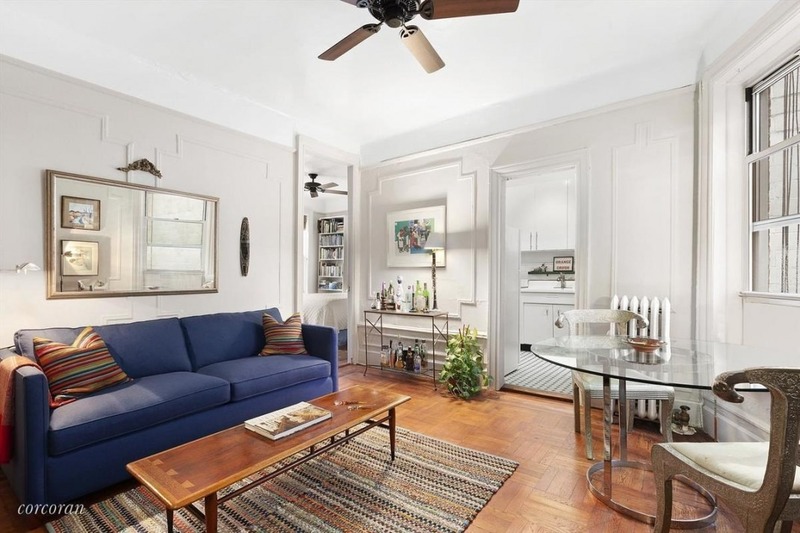 Here are 12 tips for selling a NYC apartment that’s been on the market for too long. Getting your head around the new market conditions is a first step to a successful sale. A smart seller doesn’t just list the apartment, you’ll likely spend months prepping the place, and probably start with decluttering and downsizing your possessions. 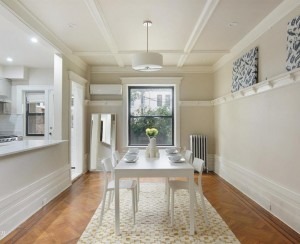 Here’s what else you should do when getting ready to sell your NYC apartment. The appraisal is also key, because once it’s reported to your lender, it’s difficult to challenge. 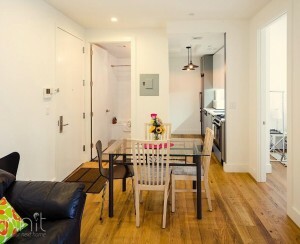 Here are three ways to make the most of your NYC apartment appraisal. If you own a co-op, it can seem hard to compete with condos on the market, especially since so many are very new and come with high-end appliances and finishes. But here are four ways co-op sellers can give new condos a run for their money. You might also consider nudging your board to taking a whole-building approach if you’re selling a co-op. Plus, tips on picking the right buyer to pass the board interview. You’ll also want to figure out if you want to use a broker or go it alone. Most people find it useful to go the broker route. If you choose to do that, don’t miss our best advice for working with a NYC real estate broker, including how to break up with one who isn’t doing the job for you. Part of your sales prep should involve anticipating closing costs. Make sure you’re on top of your sales budget and fully understand whether you’ll have to pay flip taxes and transfer taxes. Check out these tips to keep your tax bill down when you’re selling. This issue comes up a lot. You don’t want to leave money on the table, but a renovation is difficult in NYC, even under the best of circumstances. Plus, if you’re in a co-op, you have to go through the board approval process. And you’ll want to figure out that right formula for maximizing your sales price without putting in too much investment. One of the first things to do is check out the competition, either in the building or nearby area, and figure out how to make your apartment stand out. At a minimum, you’ll want to give the place a new coat of paint. Check out the best shades of white for painting your apartment if you’re trying to sell it. 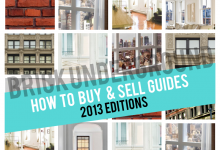 We’ve also got tips on what not to skimp on when you’re sprucing up your apartment for sale. Considering a bathroom renovation? How will putting in a shower in place of a tub affect your property value? What if you’ve already renovated, but the job was done badly. That’s discussed, too. So you’ve decided to forego the headache of a renovation. What do you need to know to sell an apartment “as is”? You also may have inherited a co-op or condo that hasn’t been updated in quite a while (like more than 20 years), and you prefer to just unload it. Here are tips for selling an estate-condition apartment. Ever since Hurricane Sandy in 2012, people have worried about living in a flood zone. Find out what it means to live in a flood zone, and what you can do to make sure you can still sell your apartment if you do. All is not lost. We’ve also got advice on how to sell after a fire. There could be issues beyond your control, such as construction going on in your building at the time you want to sell. There could be a history of bedbugs, or someone might be selling a similar apartment on a different floor—we’ve got tips on how to handle these issues and more. Most brokers will tell you that how you stage an apartment is one of the most important elements for how your place will be perceived in the market. Professional staging doesn’t come cheap, but it can bring in big returns. Read this round-up of the best advice for staging your NYC apartment and how to avoid these 10 apartment staging mistakes that can cost you a sale. And don’t forget that staging an apartment, and other sell-related expenses might be tax deductible. Read this Q&A on it, then talk to your accountant. Do you know if your agent picked an optimal time slot? Are they advertising in the right places? Will your broker show up prepared? There’s a lot to fret about with open houses, but here’s a guide for covering open house timing and advertising. There are also insights on how to set the scene. There are good reasons why you might want to consider private showings, especially if your apartment is small and an open house might shrink the place. Either way, here’s a round-up of best-advice practices so you know what your agent ought to be doing when they’re showing the unit. And should it rain (or snow) that day? Do not cancel—here’s why.